Redfish is the most popular species for South Carolina anglers. Every year, tens of thousands of fish are caught. They are big, fight hard, and are one of the finest game fish in our waters but they are not the only gamefish. Lesser known but equally as fun to catch are speckled trout and sheepshead. Both are found in the waters around Charleston and provide phenomenal fishing opportunities. It’s hard to surpass the popularity of Redfish. Every year anglers spend millions of dollars chasing this amazing fish. The ocean’s a big place and the fishing is just as good for the lesser-known fish. If you haven’t heard about Sheepshead or Speckled Trout, it’s just because they don’t get as much hype. Like anything else, a good marketing campaign illuminates information that was hidden away. It also means fewer people are targeting these species, which translates into less fishing pressure and more bites. Speckled Trout overwinter in the shallow water marshes in South Carolina’s low country. This makes them excellent quarry for inshore fisherman and allows for relatively easy fishing opportunities. Unfortunately, the winter of 2018 was among the coldest on record and our speckled trout population was hit hard. In response to this event, we are participating in catch and release only angling. This means there are still fish to catch and that our fisheries will recover in the years to come. Targeting practices involve the use of light line tackle, perfect for throwing artificials. Our Daiwa rods and reels make it easy to throw soft plastic and other artificials. Speckled trout are found in shallow grasses and by the mouths of creeks. Anglers who relish in casting and seeking out the fish will experience successful fishing trips. Certain times of the year allow for topwater baits to be thrown. Watching a fish jump out of the water for the bait is always fun to see. Fun to catch, Sheepshead is found through the waters near Charleston, SC. The fish is found both close to shore and in deeper water near structures. The largest fish are caught in the deeper water where fishing from a boat is mandatory. When targeting structure further from shore, the fish are generally larger. Popular bait includes fiddler crabs and shrimp. Sheepshead tend to school with other fish around the same size. This means if you hook into a big one, your fishing partner has a good chance to catch one as well. The fishing style demands anglers stay tuned into their lines. Jigging the baits below the boat at about 40 feet deep takes some skill to prevent your hook from getting snagged. With larger fish weighing up to 8lbs, catching a few of these makes for a successful fishing trip. They are strong fighters and even the most experienced angler is likely to lose a couple if they’re not prepared. 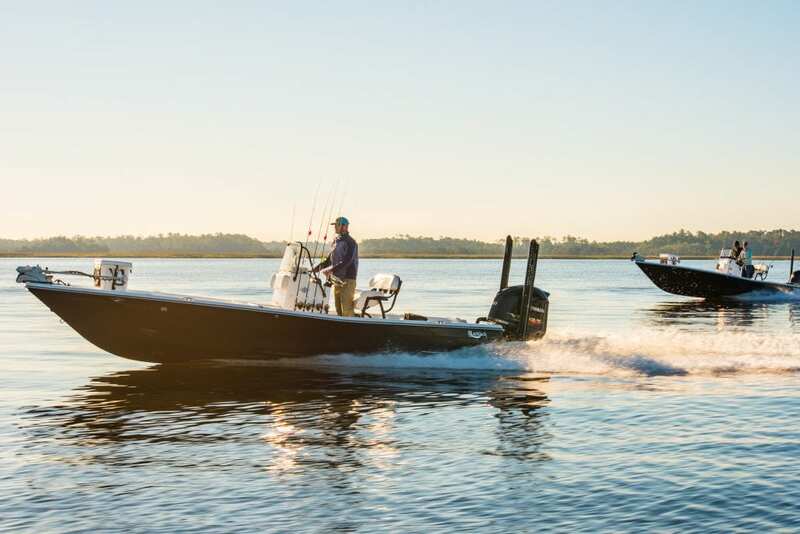 From the popular Redfish to the lesser known Speckled Trout and Sheepshead, our waters have it all. Contact us to organize a fishing trip and get your line wet.